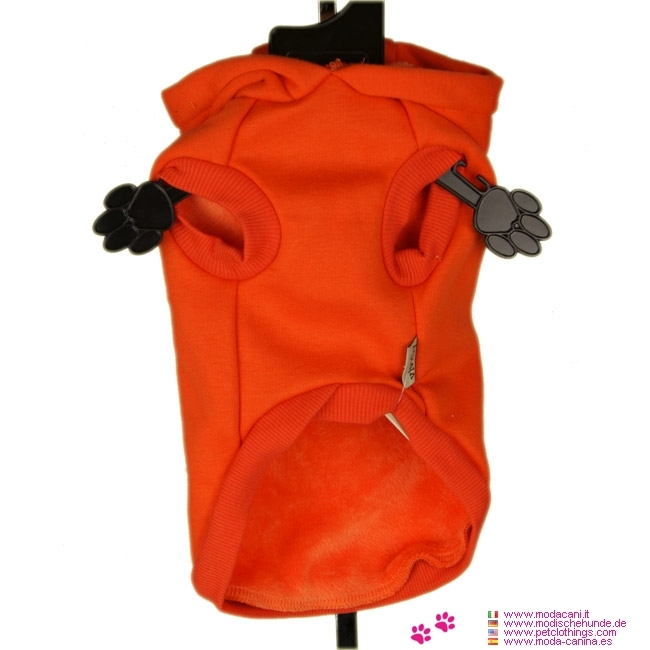 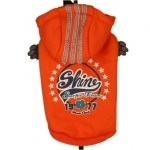 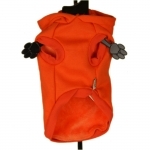 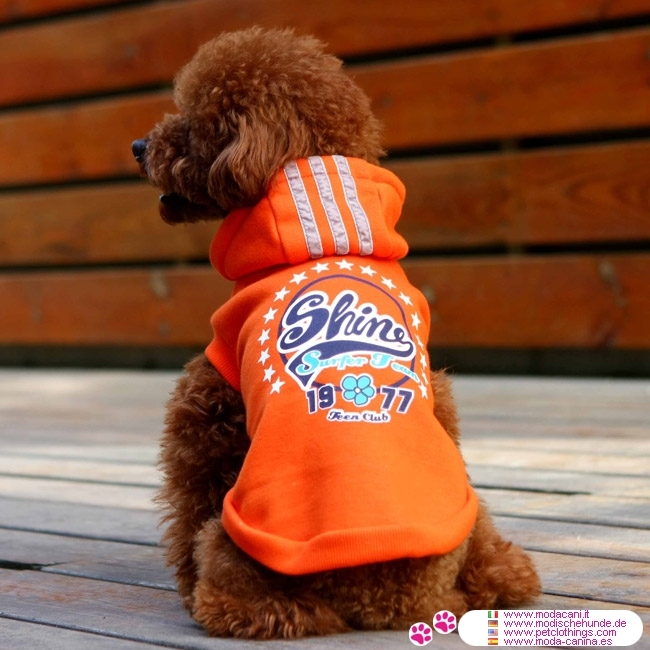 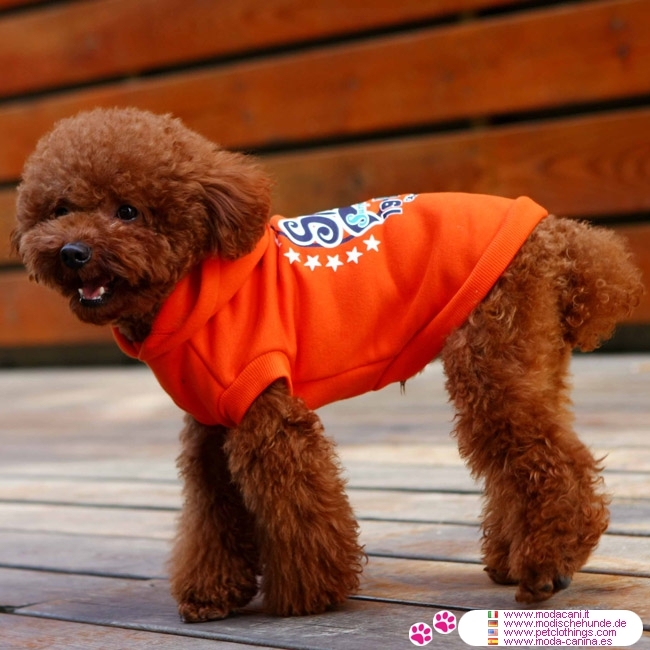 New model of sweatshirt with a sporty cut for small dogs (Chihuahua, Poodle, Jack Russell, ...); it's an hooded sweatshirt with a very warm interior. 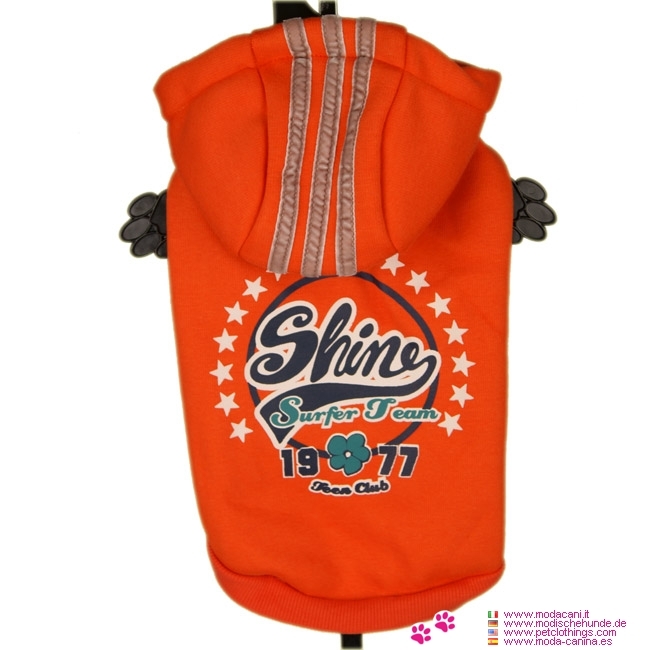 The outside is in plain orange color, with a print on the back. 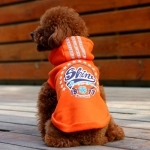 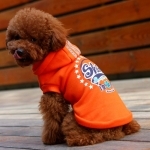 Check here some photos of a poodle wearing this sweatshirt, and take a look on how it fits.